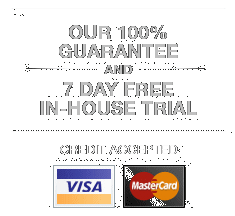 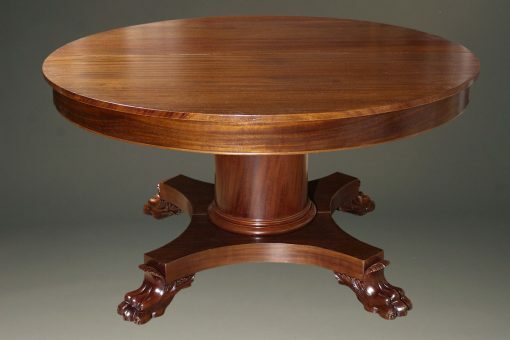 54″ mahogany split top pedestal base dining table.54″ mahogany split top pedestal base dining table. 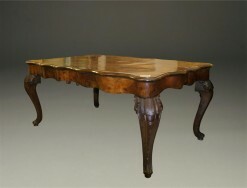 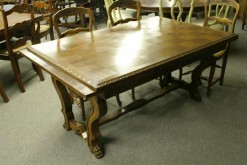 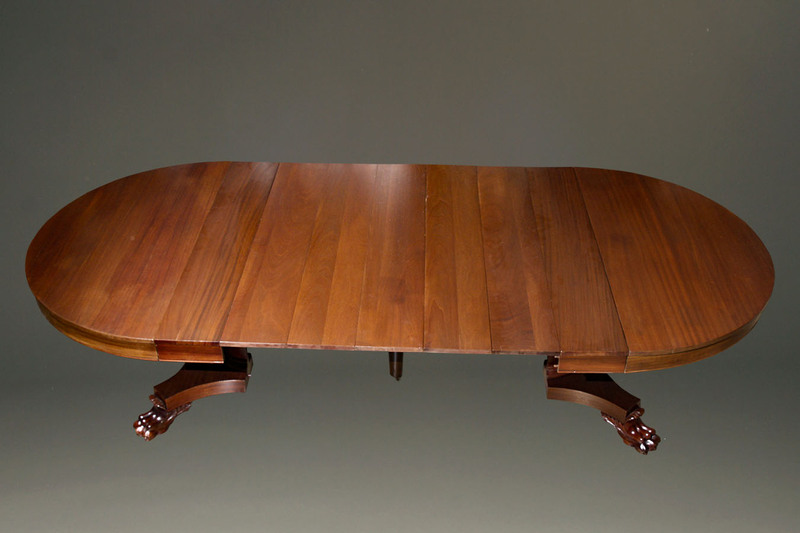 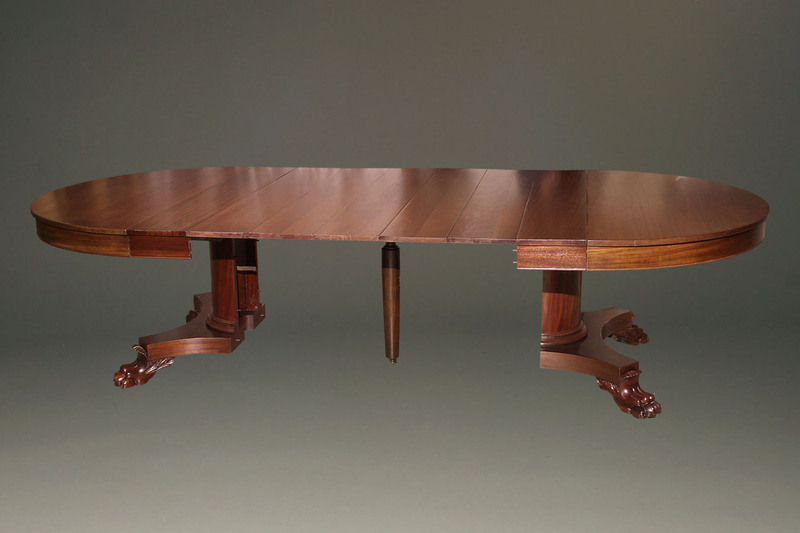 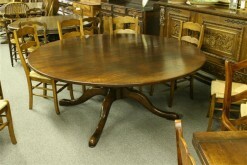 Round 54″ American mahogany split top table with pedestal base and claw feet. 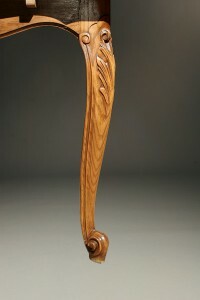 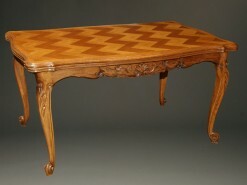 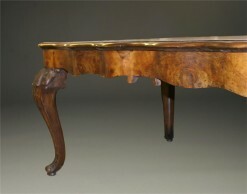 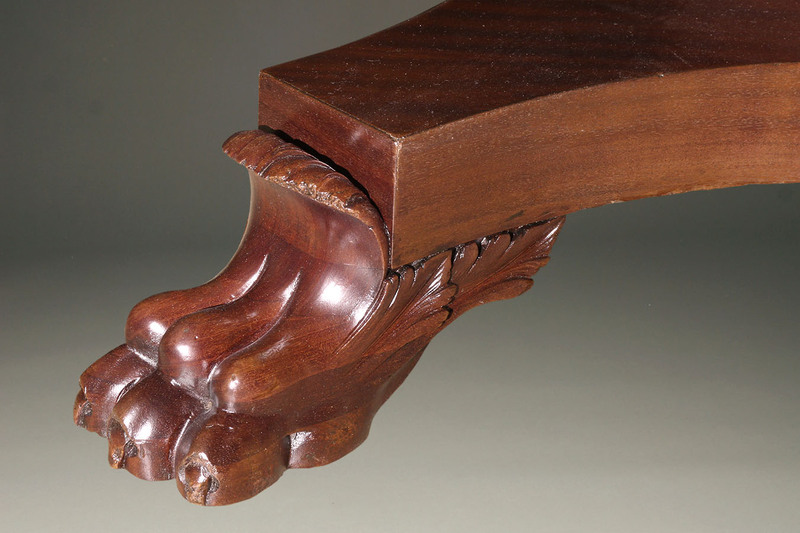 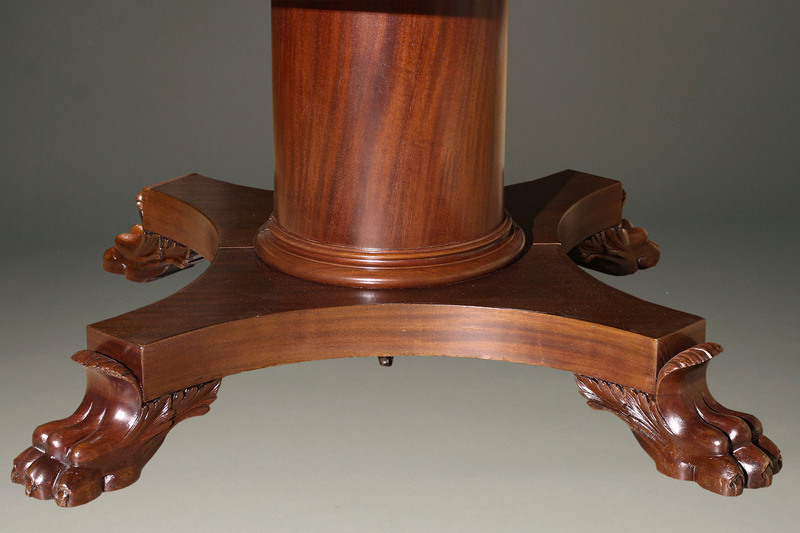 The table and pedestal split apart allowing room for seven 9″ leaves. 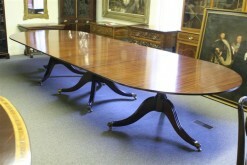 When all of the leaves are installed the table extends to 117″ long.